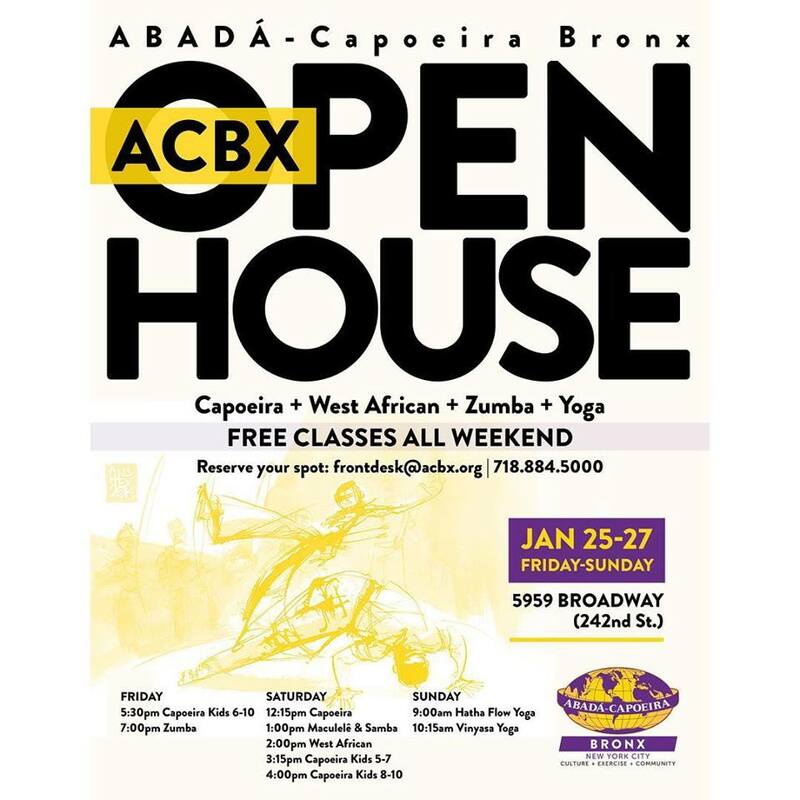 Abada Capoeira Bronx (ACBX) is an organization that works to preserve, expand, and share the art of capoeira. We recently moved into a new space and want to show the community our classes. From the 25th to the 27th of January we are going to have free fitness classes, including capoeira, samba, West African dance, yoga, and Zumba.